Winter and my hair don't get along. At all. The air here in Montana is dry all year round but winter air is the worst (and for us, it's been 'winter' for about 6 weeks now). Harsh winds leave your hair snarly and stripped when you're outside and subzero temperatures mean a running furnace so your hair gets static-buildup inside. To combat the horror that is having super fine but thick hair I started shampooing only every other day many winters ago. The trouble with skipping a shampoo though is that my scalp is working overtime to keep itself from drying out and goes bonkers on the oil production. 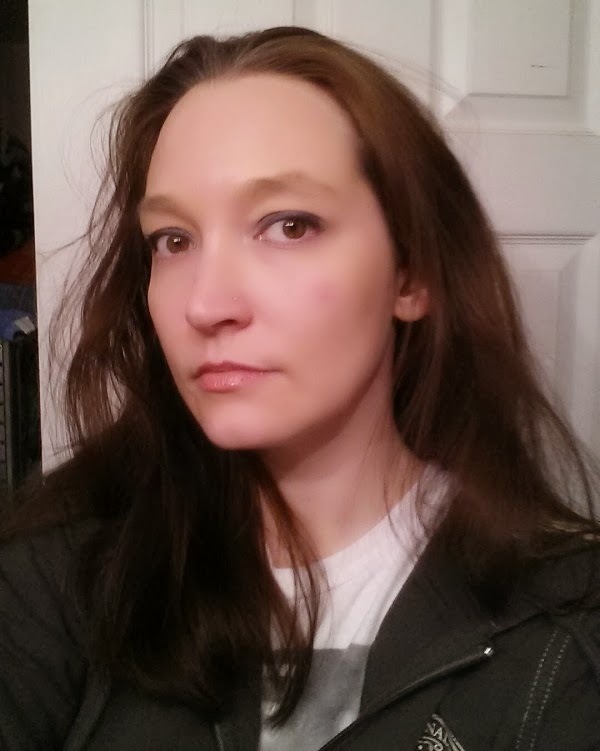 By mid-day on a shampoo day my hair is a flat, shiny, and stringy mess at the roots... but is still fly-away and dry everywhere else. Last year I bought my first can of dry shampoo in hopes of finding a solution to the second day horror. The big problem... it had a horrible smell that lingered not only on my hair but in my bathroom. My husband isn't one to comment on that sort of thing and even he said something. Not one to be wasteful I have continued to use it, but I've been unimpressed with the results and the stench just ruined any chance I'd buy it again. 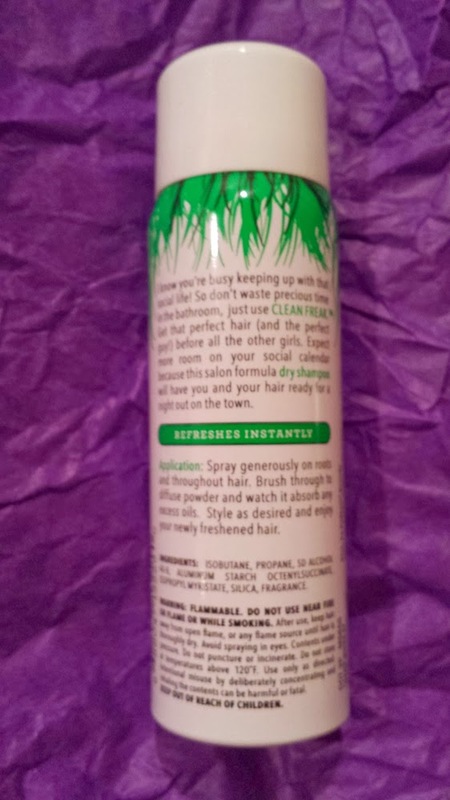 Just a week before the #VioletVoxbox came out I had been researching more dry shampoo products in hopes of finding a new brand that had good reviews and no smell. 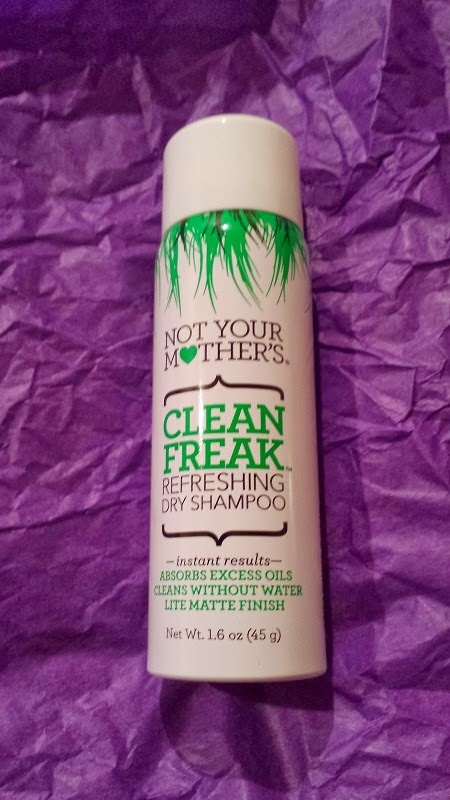 Talk about serendipitous when I cracked open my Violet Voxbox and found Not Your Mother's Clean Freak—the one I had decided to try next right there in the box! And I ♥ it! 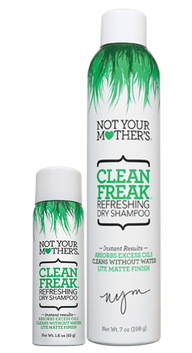 Not only is it unscented, the finish is a very light matte so it doesn't give my hair that funny dusty looking halo my other brand had. It's ridiculously easy to use and not only sops up the greasies, it provides a nice lift at the roots too. 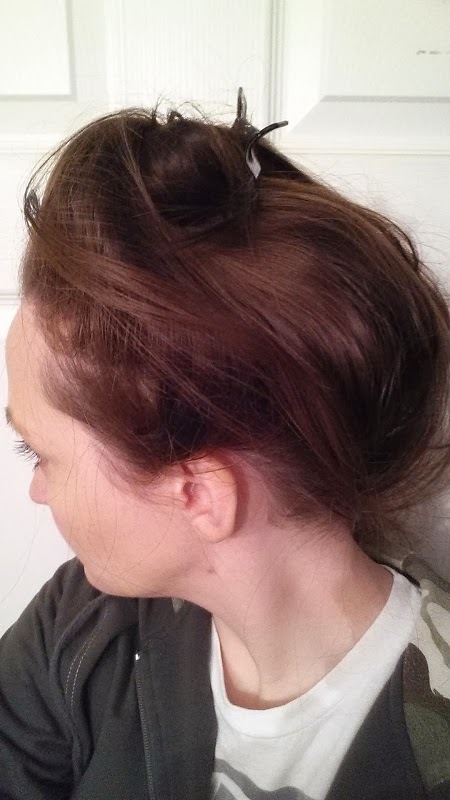 Earlier this week one of our children had a holiday concert at school and I was stuck with second-day hair so I decided to snap a few quick pics to show you guys my 5 minute quick fix using Not Your Mother's Clean Freak Refreshing Dry Shampoo. Step 1. Spray Not Your Mother's Clean Freak Refreshing Dry Shampoo generously throughout roots, focusing on your greasiest areas (mine is my part) and specifically the crown. Do NOT brush or comb yet!!! Step 2. Whip it all up into a clip at the top of your head and find something to do for about 3-4 minutes. In this case I touched up my day makeup and put on some eyeliner, eyeshadow, and lipgloss really quick. Step 3. Flip your head upside down, un-clip it, then brush out your hair, holding your head upside down while you do so for extra volume. Step 5. Flip your head back up and, if needed, comb your roots a bit more. Style more if desired. I forgot to take a before photo but as you can see by the finished result... you'd never know I hadn't washed my hair in about 30 hours. 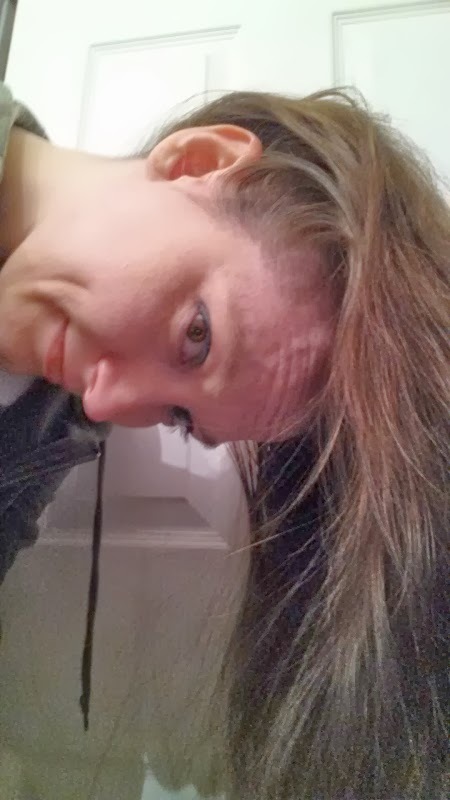 Not only are the greasies tamed, my roots have added volume (my hair lays FLAT when it's this close to a regular shampoo) and most importantly, it didn't make my hair drier at the ends after I brushed it out. The secret is to make sure you're focusing on the roots since your scalp oils are the heart of why you're probably using dry shampoo.